Notepad Corner: Are you a Spendthrift during Christmas Season? Are you a Spendthrift during Christmas Season? The cool breeze in the morning, the Christmas lights and decorations everywhere, Christmas carols played every now and then in radio stations, shopping malls on sale, bazaars here and there, are the things which remind us that Christmas is just around the corner. As Filipinos, we enjoy spending much during this occasion. Time to buy holiday presents for our loved ones, god children and friends. 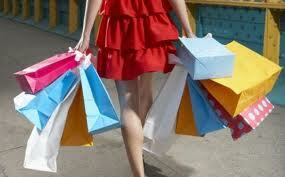 I, for instance take pleasure in shopping, but do we really need to be a big spender? Do we have to spend lavishly? According to my friend economist, this is the time of the year wherein one can generate extra income, employed people received extra money from company bonuses, thus at which point we can add more to our savings for future needs or necessity. He taught me that the proper way to maintain a financial plan is through the the budget formula: Income – Savings = Expenses. Whew! I do it the other way, income minus expenses equals savings or none at all. Buying gifts and Christmas wish list is already a tradition in the Pinoy Culture. For those who are on a tight budget like me, shopping list is a must. List down the names of the recipient of your gifts,then think of a possible gift to each recipient so you will have an idea on how much will you allocate for your shopping. Don’t be deceived by shopping malls on sale, try to compare, you can also buy quality items even in bazaars at a low price with plenty of items to choose from. If budget permits, we have to keep even a little for the rainy days. The essence of Christmas for Catholics and Christians is to bring to mind the birth of our savior Jesus Christ, who saved us from sins and from the fires of hell. Extravagant gifts and excessive food feast are not the requirements for a happy celebration of the Christmas season. Christmas is not complete without gift-giving, children especially, symbolizes it as the spirit of Christmas. Being sensible in buying gifts is a wise choice to save money at the same time teaches us and our family that extravagant gift is of no importance, because it’s the thought that counts. I so agree with you, sis Joy. Most people nowadays forget that Christmas is the birth of Christ, and that's what we should be celebrating. He doesn't want us to celebrate excessively. A good meal shared with family and loved ones is enough celebration for Christmas. The gift-giving, well, I believe it's the thought that counts. How I wish Christmas would be time for everyone to save and not spend. It's the time of the year that people will really get some extra money (bonus) so would it not be better that it be reserved for days that they really need to spend. Hello Sir Edzee! My wish is the same as yours. Thank you very much for reading and following my blog, great honor to have you as my visitor!